Prominent & Leading Manufacturer from Pune, we offer pinewood pallet, two way wooden pallets and four way wooden pallets. Our range of Pinewood Pallets is designed to International Standards and is available at the best possible prices. Pinewood Pallets are made of superior quality wood and undergo all our most stringent checks for quality. 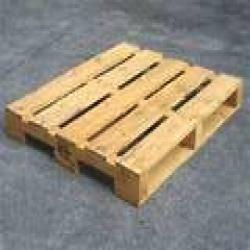 We specialize in the manufacture of a wide assortment of four way and two way Pinewood pallets that are available in various sizes. Our four way Pinewood pallets are appreciated for uniform thickness. We are manufacturer & supplier of Two Way Wooden Pallets which we are giving to our client. 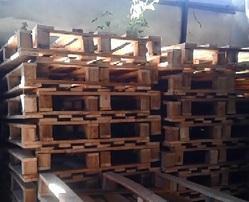 We are giving this Two Way Wooden Pallet as per the specification of client. 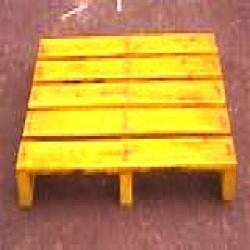 We are manufacturer & supplier of Four Way Wooden Pallets which are used for packaging. These types of Four Way Wooden Pallets are useful for packaging products. We are giving this Four Way Wooden Pallet as per the specification of client. Looking for Durable Wooden Pallets ?